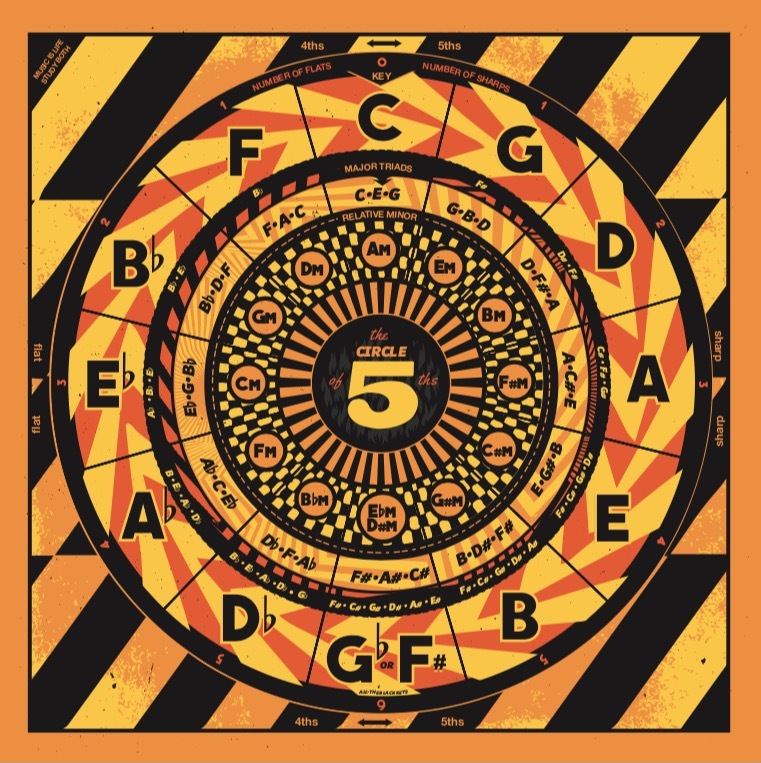 Frustrated by the inelegance of such pedagogical visual aides whilst needing to know more about music theory, I spent much more time designing this circle of fifths illustration than actually studying the knowledge contained within. I am no more illuminated on theory than when I started but maybe someday I'll get back to my studies. Maybe.